That’s why the new study, which focuses on a corn supply chain model developed by the University of Minnesota’s Northstar Initiative for Sustainable Enterprise (NiSE), can be an important tool for empowering food companies with information that can help them tackle the tough job of supply chain sustainability. Corn is grown across approximately 90 million acres in the United States – equivalent to the size of California. 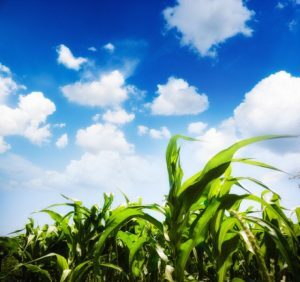 While corn production has grown much more efficient over time and farmers have made amazing strides in adopting a range of conservation measures, on average just 40 percent of the fertilizer applied to U.S. crops is absorbed by plants that season. This means the rest is at risk of running off into waterways or escaping into the air – which can lead to water and air pollution, as well as lost income for farmers. Understanding corn’s environmental footprint is fundamental to generating solutions that help farmers improve efficiencies, reduce fertilizer losses, and ultimately improve productivity. This knowledge also helps companies to meet and measure the success of their sustainability commitments and goals, and to mitigate risks such as supply chain disruptions from extreme weather events. 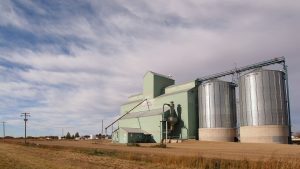 Environmental Defense Fund wanted to find a way to make it easier for companies to evaluate their corn supply chain, so we reached out to NiSE, an organization with deep expertise in the complex agricultural supply chain, to develop a feed grain transport model that estimates emissions from grain farming. EDF and the National Institute of Food and Agriculture both supported NiSE’s work to generate this model and give companies a starting point for understanding their grain supply chains. 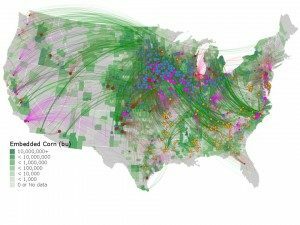 I previously interviewed Jennifer Schmitt, Ph.D, director of the NiSE, who noted that the model is ultimately meant to show how corn and soy travel through the farm-to-feed-to-food pipeline in the U.S.
Because the model used publicly available data, it does not utilize any confidential company or farmer data, and does not go to the individual farm level. As a Bloomberg article on the study noted, Smithfield Foods has already used the model in its work with EDF and NiSE to set a goal of reducing the company’s greenhouse gas emissions 25 percent by 2025. Smithfield provided NiSE with information that helped them refine the greenhouse gas assessment that underpins the company’s sustainability targets. Smithfield can now use the model to make its sustainability investments in areas where they will generate the greatest and most cost-effective improvements. Companies that proactively make decisions based on information tailored to them instead of industry averages have a much better chance at identifying win-wins that benefit the environment, farmers, and companies themselves. While no model is perfect, including this one, it is important to use it for its intended purpose – in this case, education and understanding. This is not a tool to use for tracking or accountability for supply chain impacts. The goal is to empower stakeholders with information that can drive sustainability improvements – something that we should all be able to get behind. This entry was posted in Climate Resilience, ecosystems, fertilizer, Supply Chain, Sustainable Agriculture and tagged agriculture, conservation, environmental defense fund, farmers, farms, fertilizer, food production, PNAS, supply chain, sustainable agriculture, University of Minnesota, water quality. Bookmark the permalink. Both comments and trackbacks are currently closed.